Today, Trollope is one of the most widely-read, and the best loved, of all the great Victorian novelists. The Trollope Society publishes The Complete Novels of Anthony Trollope as well An Autobiography, short stories, travel writing and non-fiction titles. 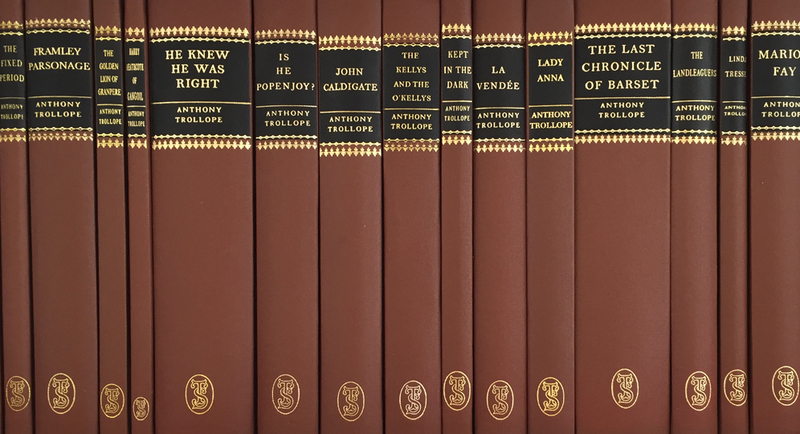 The design and production of The Complete Novels of Anthony Trollope has been undertaken in partnership with the Folio Society, who have been famous for fifty years for their continuing commitment to painstaking techniques, many of which are no longer fashionable. Each title is set in hot metal, and printed lithographically by Bath Press, one of the foremost printers in England. The typeface used is the distinguished ‘monotype’ Bell, the first and by general consent the most attractive of the so-called ‘modem’ faces. It was originally cut in 1788, and used for many early editions of Trollope’s novels. The text has been completely re-set in hot metal by Speedspools of Edinburgh, under the general editorship of Professor David Skilton. The paper selected by the Trollope Society is a special making, chosen for each title, of a cream tint, and is manufactured by Lancashire Mills. It is acid-free, and of archival quality. 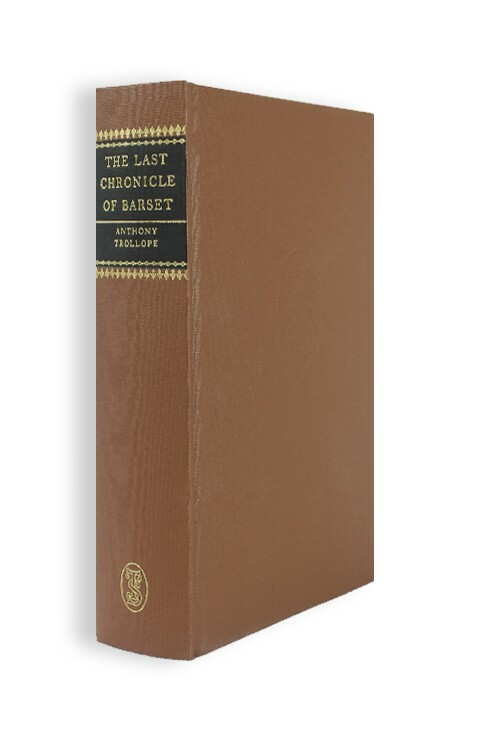 The binding is buckram throughout – still by far the most lasting casing material. Each has the title printed in gold on a black label, and the front board is blind stamped with the colophon of The Trollope Society. Each title has an introduction, specially commissioned for the series. Introducers are diverse – reflecting Trollope’s enormously broad appeal – including Joanna Trollope, Mary Warnock, Antonia Fraser, A N Wilson, P D James, Robertson Davies, Victoria Glendinning, Maeve Binchy, John Mortimer, Enoch Powell, Roy Jenkins and Asa Briggs. The page format is medium octavo (9″ x 5 314″). 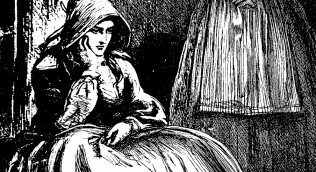 Original illustrations are used in The Society’s edition only where they occurred in the first edition. 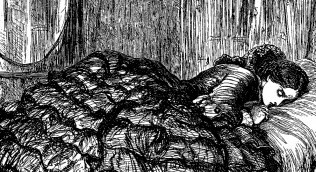 Artists represented include Sir John Millais, ‘Phiz’ (Hablot Browne), and Frank Holl R.A. The aim is to present a series designed to the best library standards which will stand constant reading over many years. The series is published by Omnium Publishing, the publishing arm of The Trollope Society. The Short Stories of Anthony Trollope in five volumes are bound uniformly in cloth, with a specially-commissioned Trollope Society design (based on an original nineteenth century binding). A number of non-fiction titles by Anthony Trollope, in uniform binding have also been published. In order to achieve our goal of a Complete Trollope Edition, we have extended the original programme to incorporate the travel books and those non-fiction titles not published so far. These are not reset but reproduced directly from the first editions. The binding is uniform with the Complete Novels edition, but bound in blue (rather than brown) buckram for differentiation. Some titles are now only available as part of a complete set. Members are able to purchase the available titles online. Visit our shop to make your purchase. The Trollope Society Complete Set of Novels and An Autobiography is available to purchase, price £950. That I can read and be happy while I am reading, is a great blessing. Could I have remembered, as some men do, what I read, I should have been able to call myself an educated man.